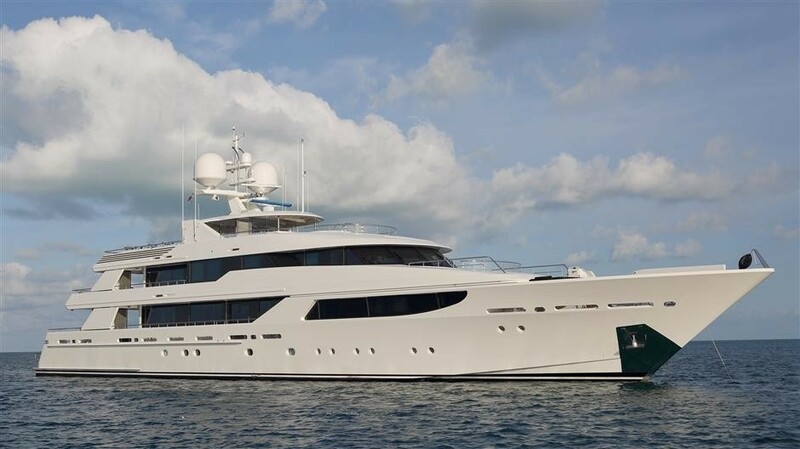 The 50m luxury yacht by Westport was built in 2011 with a GRP hull and superstructure and was last refitted in 2018. 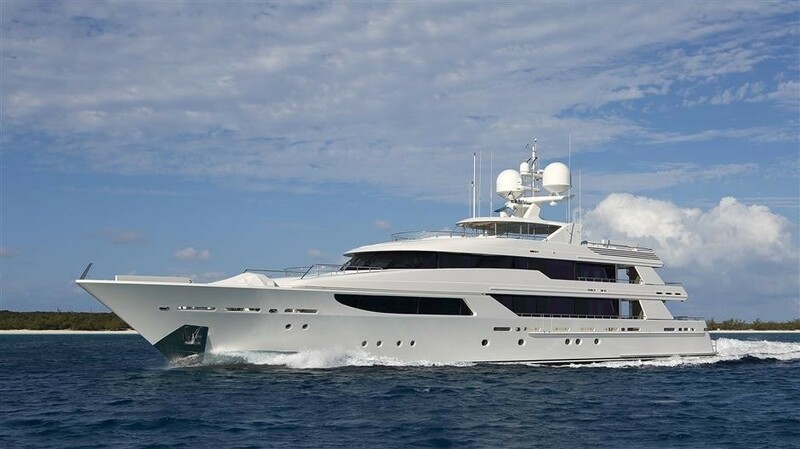 Measuring 50m/164ft, her naval architecture and exterior styling is the work of William Garden / Taylor Olsen while her interior styling comes from Donald Starkey. 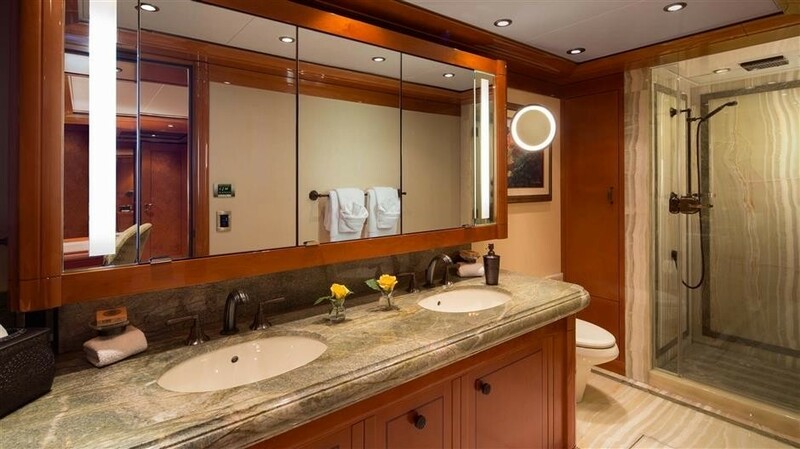 The accommodation sleeps a maximum of 12 guests over six en-suite cabins, with two additional rooms convertible to cabins. 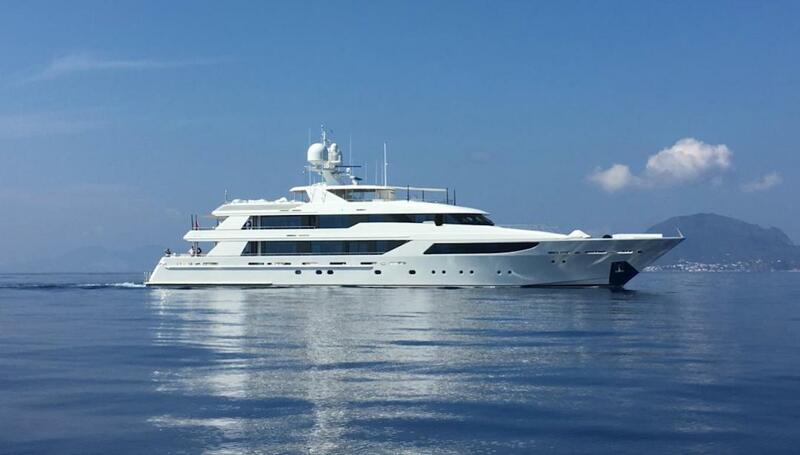 The expert crew of 11 will provide professional service throughout every journey. 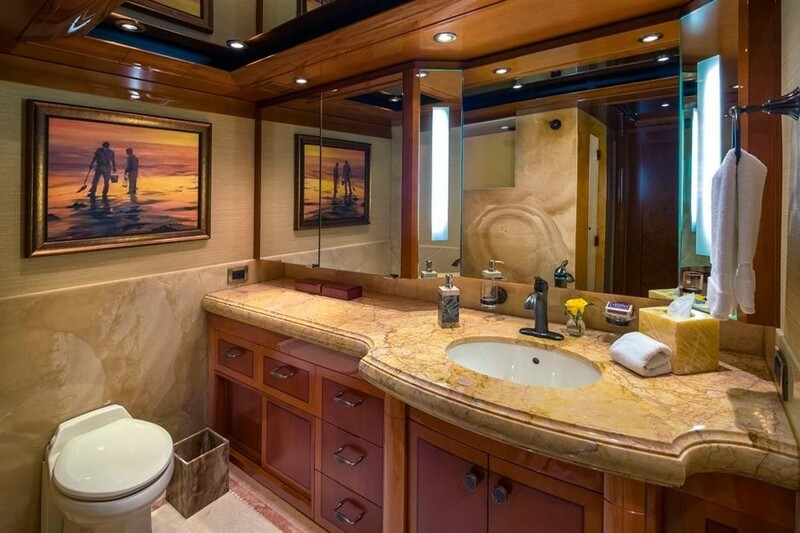 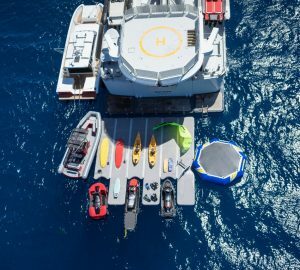 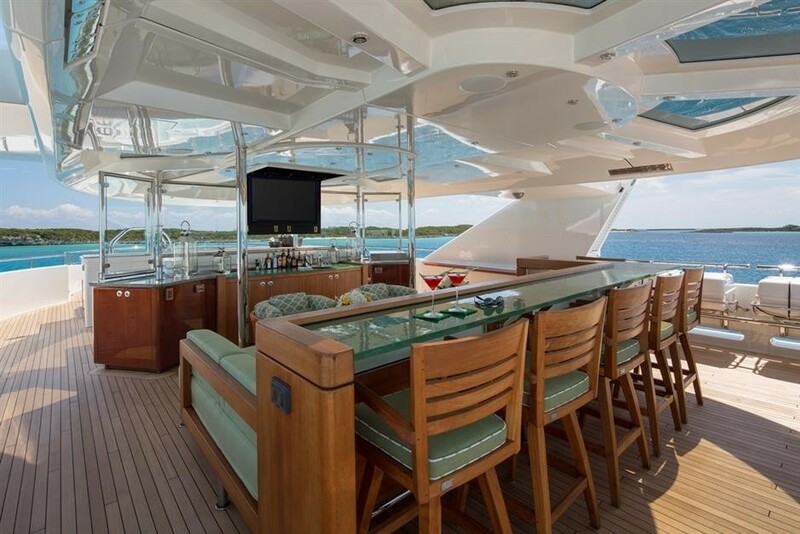 The lower deck transom door folds out to become an extensive swim platform for multiple guests to arrive by separate tenders, or for sunbathing as a group beside the water. 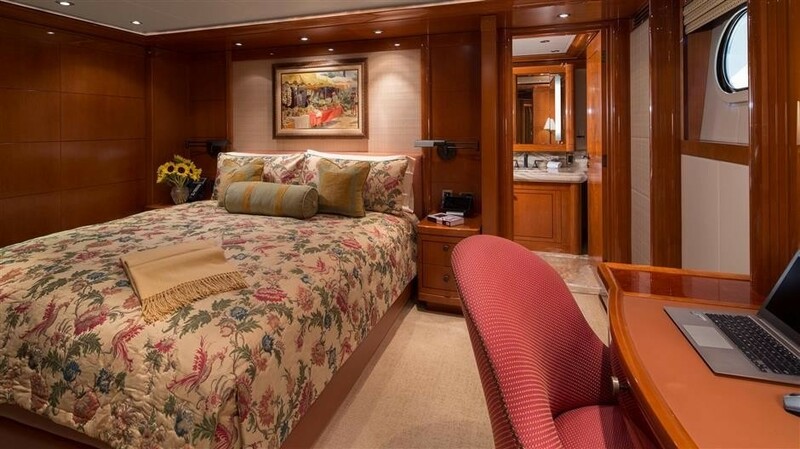 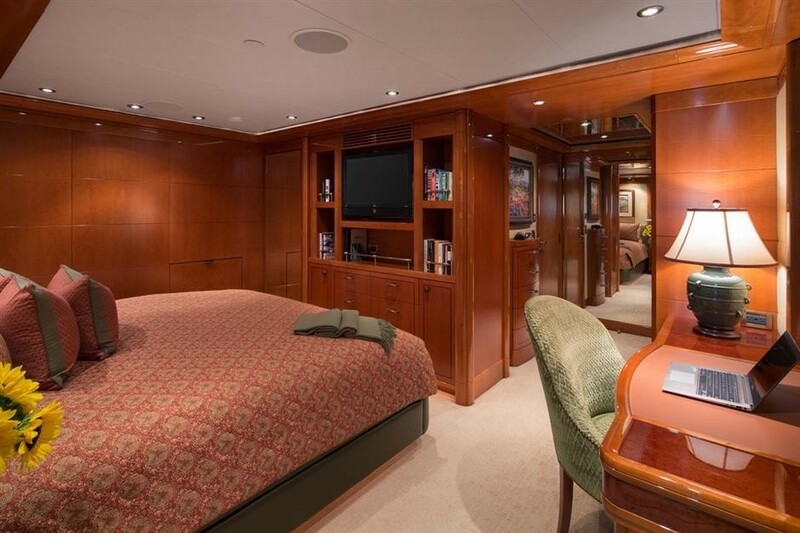 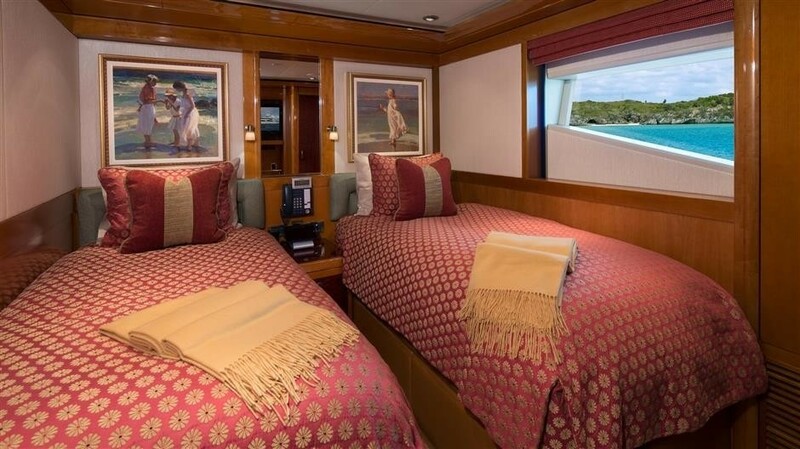 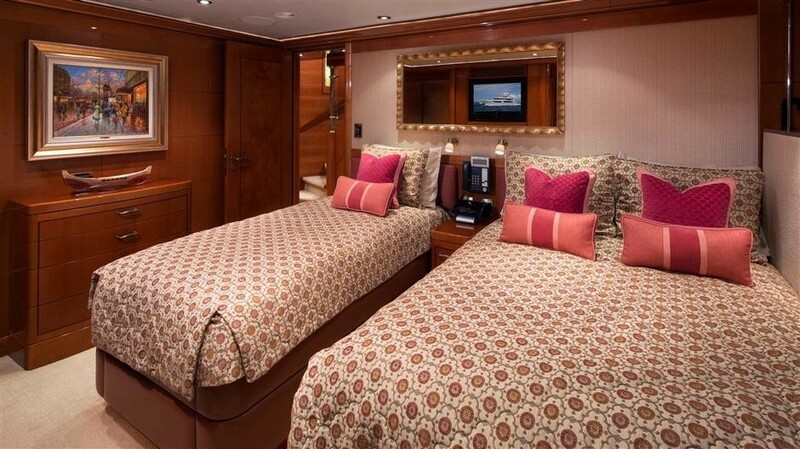 On the main deck aft, the guests can rest and recover with drinks from the wet bar and watch a film from the comfortable seating placed around the glass balustrades along the stern. 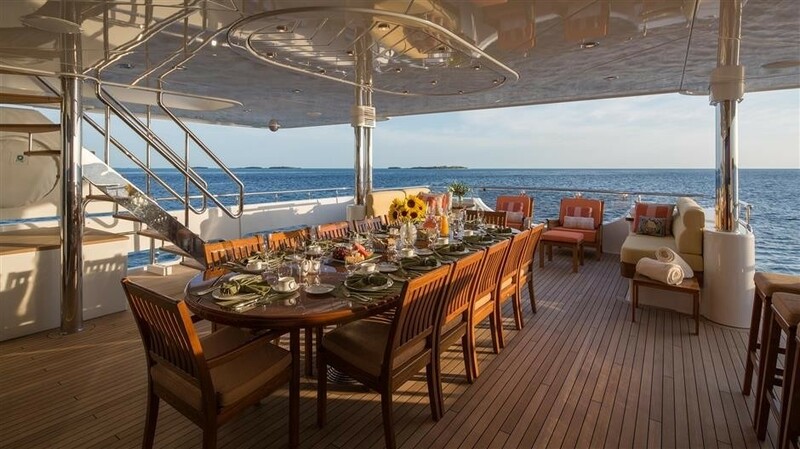 On the bridge deck aft there is a sumptuous sofa facing out over the stern with two tables for resting drinks, and beneath the sundeck overhang, there is a large circular dining table for intimate meals between eight guests. 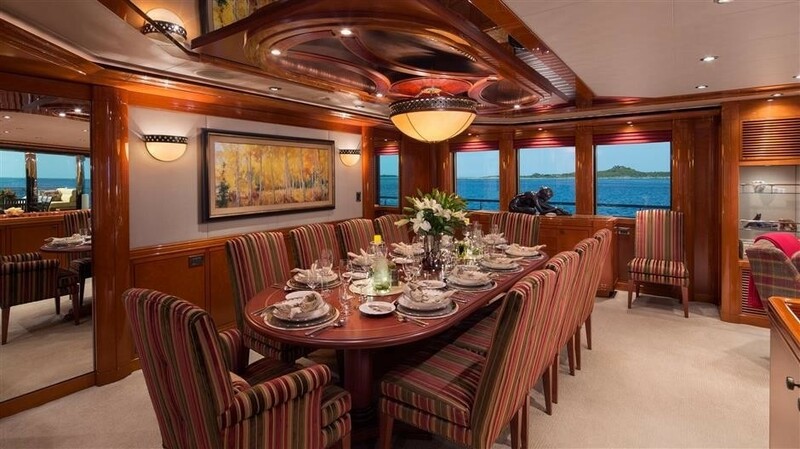 A TV concealed in the cabinetry pops up for entertaining during the gathering. 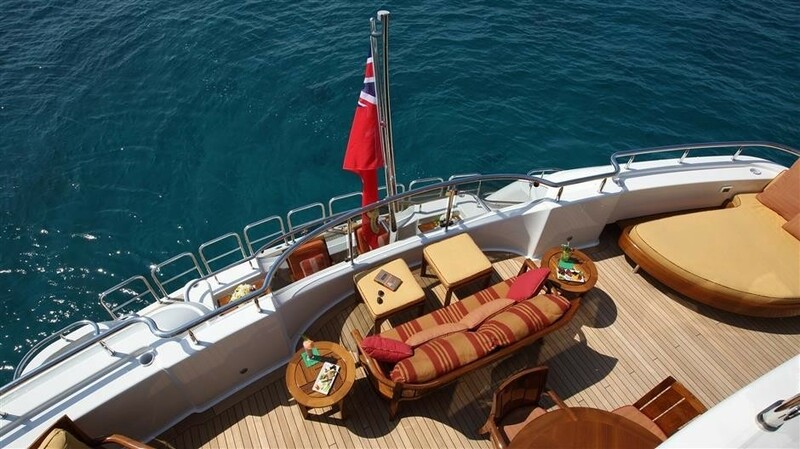 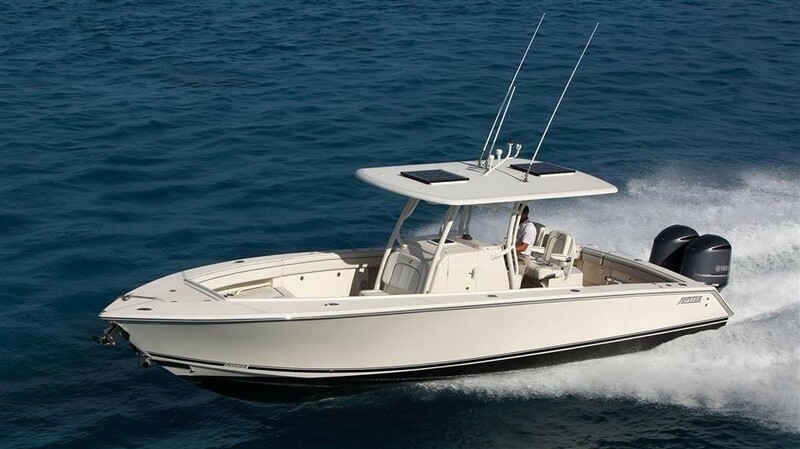 The foredeck is fitted with a broad sun pad for sunbathing with uninterrupted forward views. 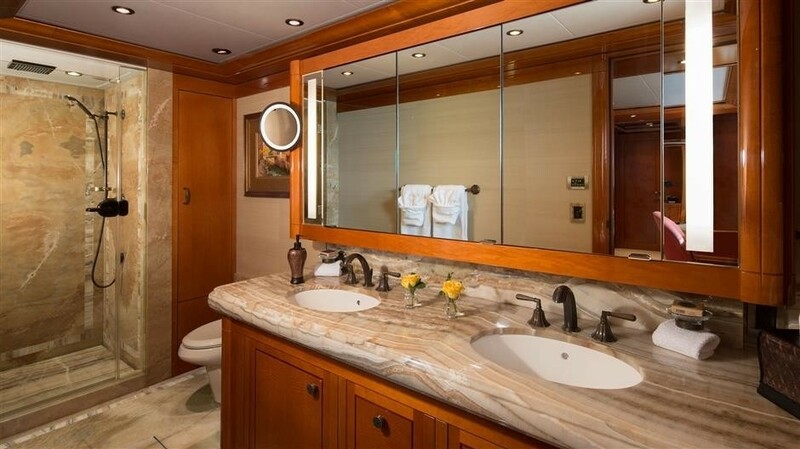 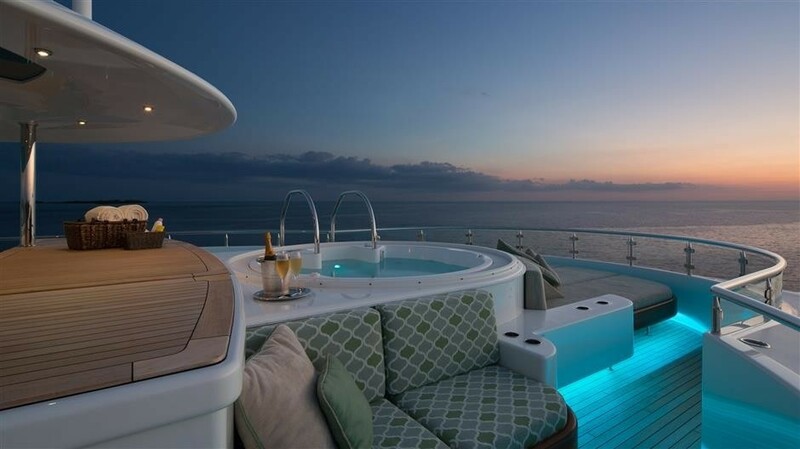 The sundeck offers sun pads, sofas and a forward Jacuzzi, a wet bar and alfresco lounge amidships beneath the hardtop, a spacious area left clear for dancing and sun loungers along the stern. 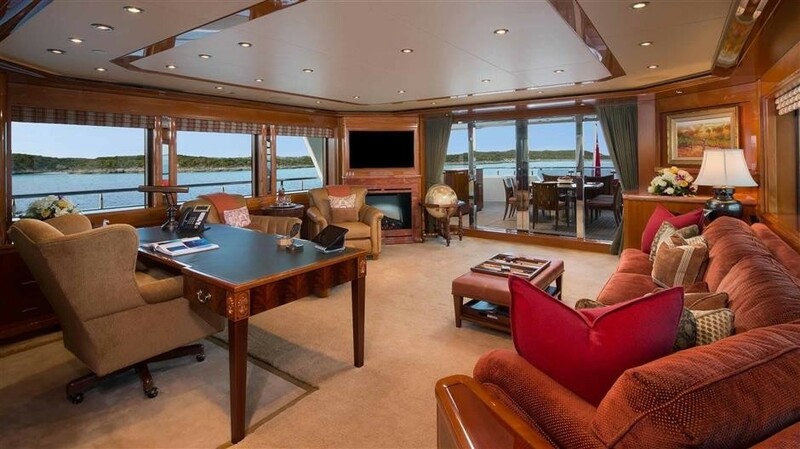 The main deck places the VIP stateroom forward, behind which is the main foyer and the open plan main salon. 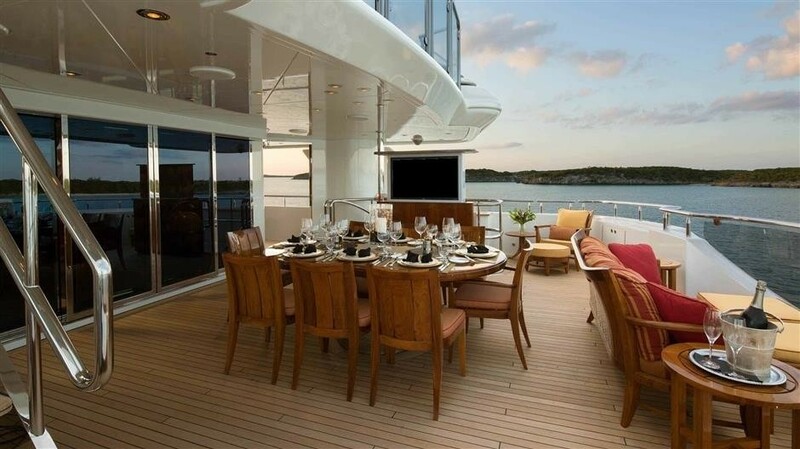 Within, the forward formal dining area provides a stately space for up to 12 to dine. 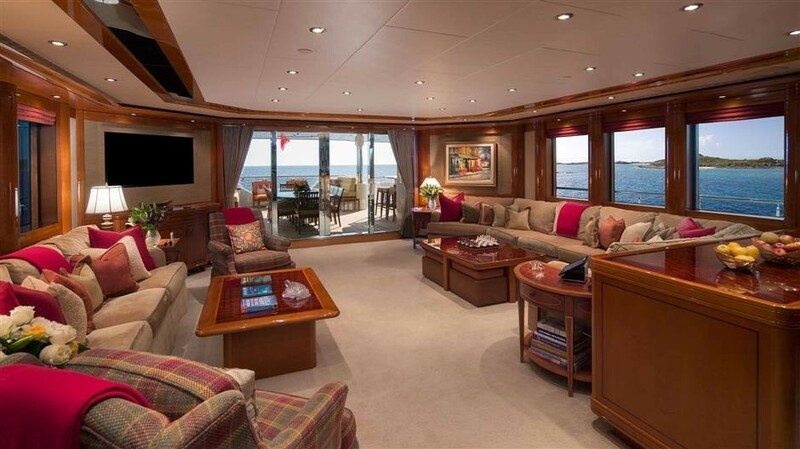 Behind, the salon placed an L-shaped sofa to port and a second sofa to starboard, both with a lacquered coffee table for casual drinks or elegant entertaining. 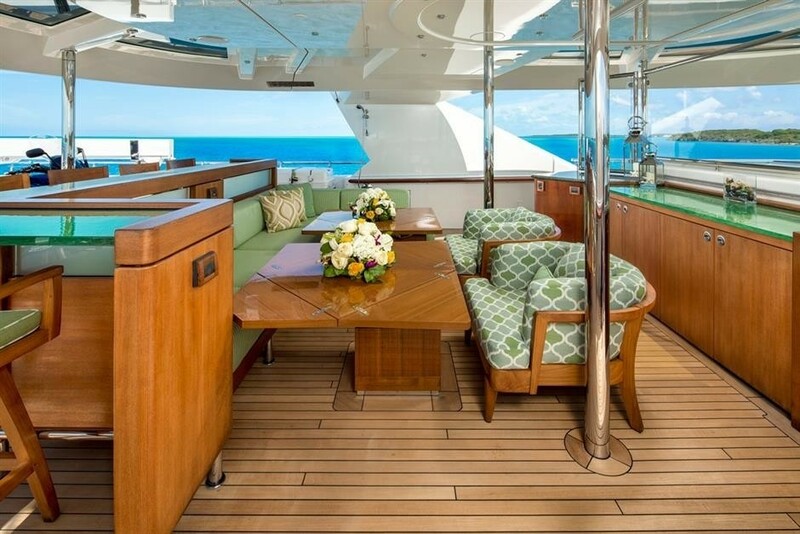 On the bridge deck hosts the helm station, a sky lounge furnished with a grand piano, sofa, armchairs and drinks tables, and the Owner's cabin. 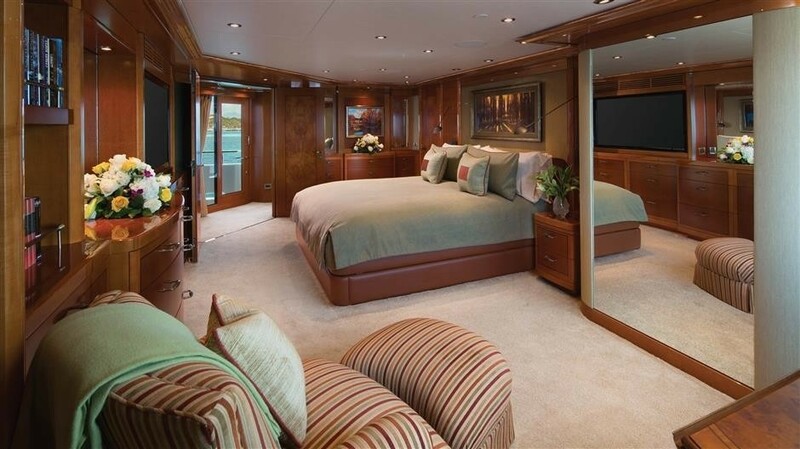 Within, there is an office/library, large en-suite bathroom and spacious bedroom that opens out onto the bridge deck aft. 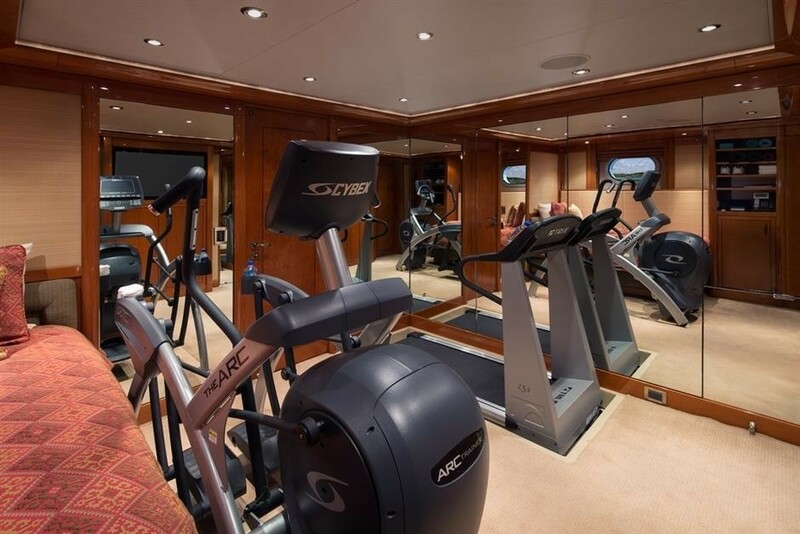 Also on board, there is a spacious gym that can be used as an additional cabin, as well as a media room that can be converted to a spa massage room. 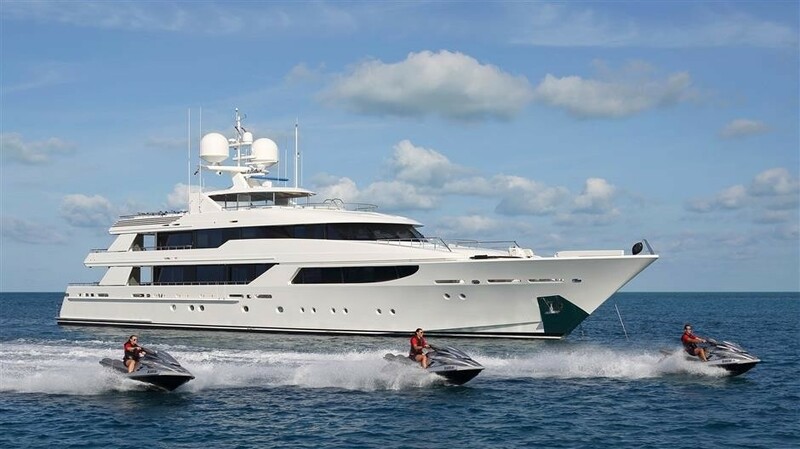 Twin MTU 16V 4000 M90 engines producing 2,720 kW and 3,650 HP for a top speed of 24 knots, a cruising speed of 15 knots and a range of 4,000 nautical miles. 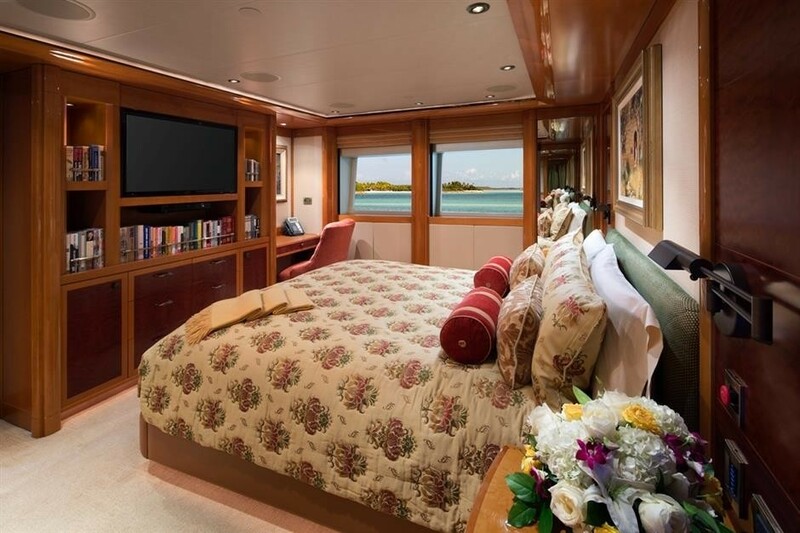 The accommodation sleeps a maximum of 12 guests over 6 en-suite cabins and 2 additional rooms convertible to cabins: 1 Master suite, 1 VIP stateroom, 3 double cabins, 1 twin cabin, 1 single berth and Pullman berth in the gym and 1 fold-out double bed in the library. 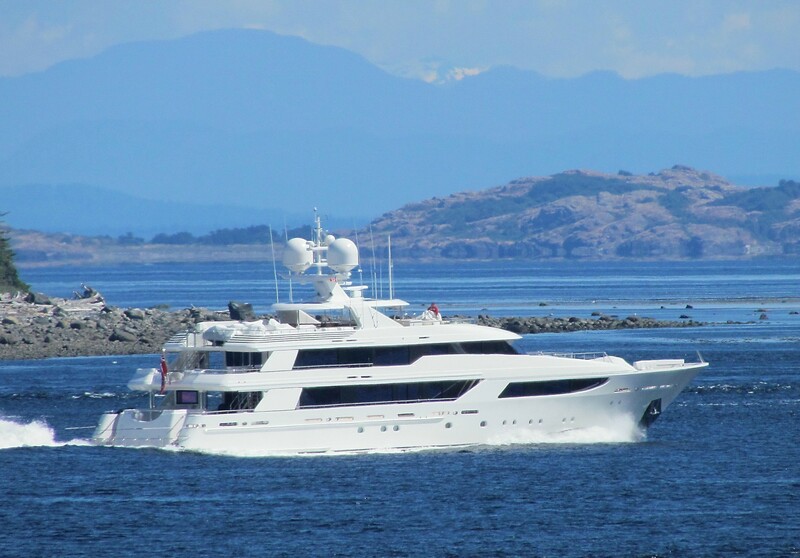 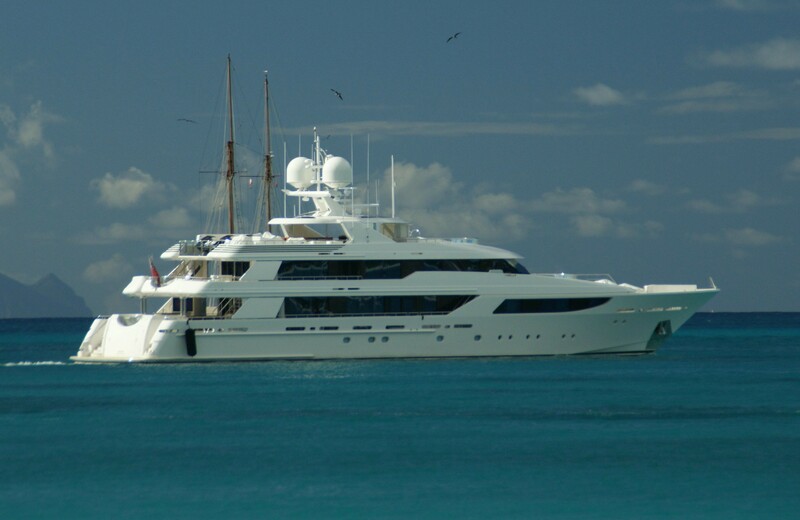 The professional crew of 11 will provide discreet service to all guests. 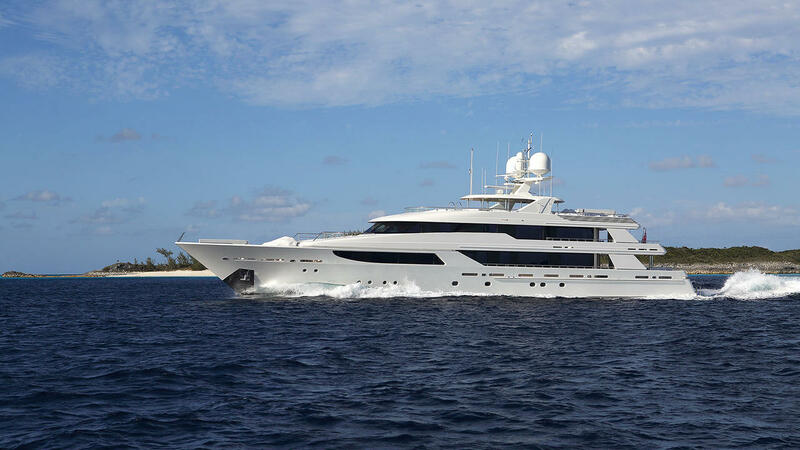 We do have available further amenity, owner and price information for the 50 m (164'1'') yacht 50m LUXURY YACHT, so please enquire for more information.